December 18, 2018, will mark the 50th anniversary of the launching of the SCORE (Signal Communications by Orbiting Relay Equipment) payload on a US Air Force Atlas B booster to low-Earth orbit. Today there are about 1100 civilian communication satellites orbiting Earth, another 792 for military applications, with an estimated 2600 no longer functioning. With the average satellite service life at 10-15 years, the challenge for engineers today is to develop more versatile payloads with the capability to adapt to rapidly advancing network technology back on Earth. Early communication satellites were self-standing, primarily providing links between a small number of ground stations. 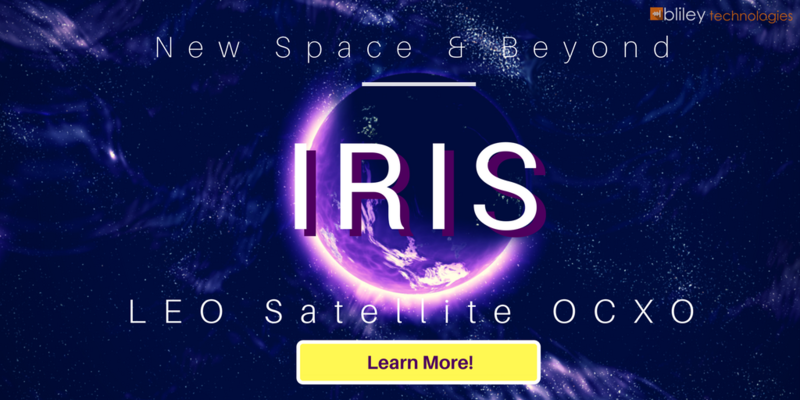 Today, the focus is moving to network-centric payloads where satellites are used to integrate systems with improved payload flexibility while at the same time minimizing cost and complexity. Satellite architecture has evolved from the traditional analog "bent pipe" mirror model, with fixed spacecraft centered functionality, to the transparent digital repeater (digital bent pipe) with versatile routing and remote beamforming capabilities. The term "bent pipe" derives from the satellite's function of receiving an uplinked signal from a ground station on Earth and rerouting the signal back to various receiving stations on Earth. From its fixed point relative to the Earth's surface, the satellite's geosynchronous orbit at an average distance of 22,000 miles provides a coverage footprint of 40% of the global surface. Bent pipe repeaters are also known as transparent repeaters or non-regenerative repeaters because they capture the signal from Earth and redirect it back without demodulating. The uplink signal is amplified and "repeated" on a new downlink frequency. Communication data passes through a signal path known as a "transponder". The typical communication satellite has 24 to 72 transponders and is capable of processing 155 million bits of information, as reported in this article at Intelsat. High-capacity satellites can carry as many as 100 transponders. Each transponder (for different carriers) has its own center frequency. a high-power amplifier (HPA) to increase the power of the uplink signal to 10-100W. Antennas are part of the payload. Conical horn antennas can be used when global coverage is to be provided by a beam. Parabolic dish antennas can be used for spot coverage with beamwidths ranging from 1-10 degrees. A dish antenna can be equipped with multiple feeds to enable its use for both uplink and downlink communications. Satellites operating on multiple frequency bands usually have an antenna for each band. Phased array antennas add a phase shift to signals which can vary the beam direction form 10 to 60 degrees. 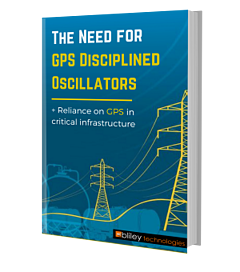 The electronic steerability of phased array antennas provides solutions for both ground stations and satellites. Satellites can point beams to various locations without the need to physically reorient themselves in space with complicated and costly TT&C (telemetry, tracking, and control) operations. Steering electrically means that an antenna can remain locked on a satellite even if it's mounted to a moving platform, such as an aircraft. In radar systems, gimbals aren't needed to mechanically position a cumbersome antenna. Best of all the use of an array of smaller radiating elements eliminates the need for cumbersome parabolic dishes on the ground, and the collective uplink signal is of much higher quality at a reduced weight on the satellite. Digital channelizers provide more routes for transmission by dividing the uplink bandwidth into subchannels. The US Air Force's WGS satellite uses a digital channelizer to divide uplink bandwidth into 1,900 sub-channels, giving it the capabilities for "broadcast, multicast, and point to point connections anytime at anywhere around the world," according to the MILSATCOM deputy director Thomas Becht. The traditional radio frequency spectrum used by mobile devices (3khz-6Ghz) are becoming too crowded, as we reported in our article A 5G Wireless Crash Course. Beamforming replaces omnidirectional transmissions by efficiently focusing the beam signal in the direction of the intended user. The capability to generate a high number of low interfering beams in point-to-point satellite communications will enhance the up and coming 5G networks which use MIMO (Massive Multiple Input-Multiple Output) technology and extremely high frequency "millimeter waves" in the 30-300Ghz range. Conventional beamforming techniques which require onboard processing in the satellite payload are inadequate to meet the new MIMO demands. The solution is to use ground-based signal processing or OGB (On-Ground Beamforming) to steer the satellite's onboard phased-array antennas. NASA's TDRSS (Tracking and Data Relay Satellite Systems) transmit the signals received by each antenna array element in a composite, frequency-multiplexed signal. These signals are combined at ground stations to form a beam much narrower than individual element radiation patterns. Since processing uses flexible resources on the ground, satellite architecture is simplified and much more cost-effective. 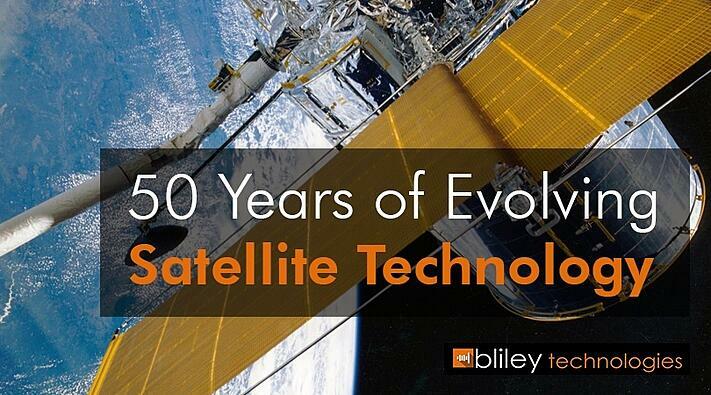 At Bliley Technologies we've been creating the highest performing frequency control products for 85 years, and we're prepared to take you further as we build on our legacy of expertise and launch into the future. If you're ready to partner with Bliley to find the best value for your specific applications don't hesitate to contact us.